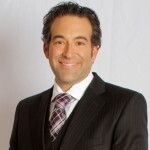 Dr. Darren Kessler is a popular certified dentists in Agoura Hills easily accessible from Thousand Oaks, Oak Park, Calabasas, Malibu, Westlake and Woodland Hills. And many more of his patients are from just about everywhere in Southern California. He is a graduate of the University of the Pacific. He completed a general dentistry residency at the VA Hospital in Brentwood. He has been in private practice since 2001.